Why & How / Why Plan? 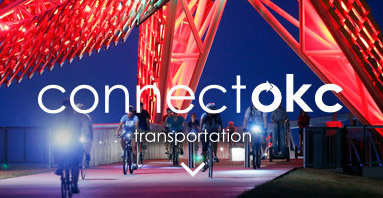 Oklahoma City is a community of energy, hope, optimism, and purpose. Our city has grown from a cluster of railroad buildings on the prairie to the center of a metropolitan region of 1.3 million people. Throughout its history, the dedication of its people has helped the city grow stronger during periods of great opportunity, and periods of significant challenge. 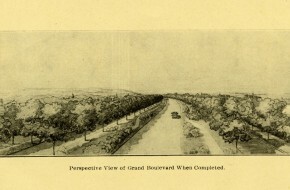 At the beginning of the 20th century, when Oklahoma City’s population grew six-fold, its citizens envisioned and invested in the creation of a Grand Boulevard, a central greenbelt of parks and parkways that would bring beauty, quality, and order to a growing city. In the middle of that same century, confronted with the slow decline of the city’s center, Oklahoma City’s community leaders began a concerted effort to give new life to the Downtown. 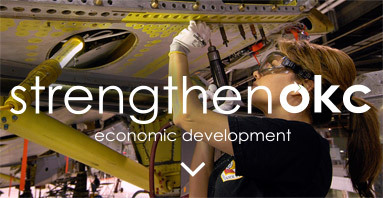 More recently, our city began investing in a program to create a great city for a new century. 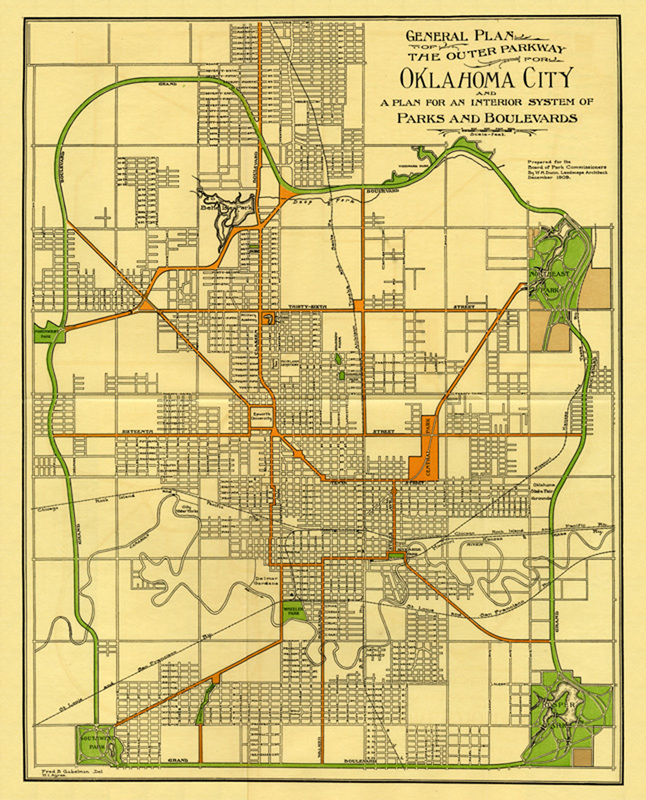 This program was called Metropolitan Area Projects (“MAPS”), and was a limited-term, one cent sales tax that funded multiple projects intended to improve the quality of life in Oklahoma City. 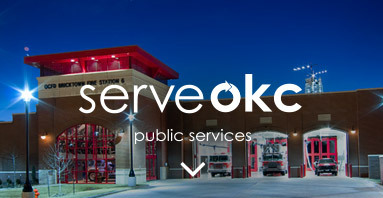 Projects included a new baseball stadium, the Ronald J. Norick Downtown Library, the Bricktown Canal, Chesapeake Arena, improvements to the Oklahoma River, remodeling of the Civic Center Music Hall and others. The success of the original MAPS is widely known and has generated substantial private investment as well as additional generations of MAPS. While MAPS has been very beneficial for Oklahoma City, there is much yet to be done to realize the goals described in this plan. We once again find ourselves facing important choices that will determine our future. Can we continue to afford the types of public services that we have come to expect, such as quality parks and rapid emergency response? Are some of our past choices, such as low density land development, proving to be expensive and difficult to sustain? 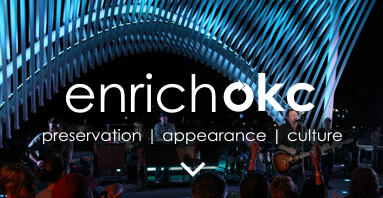 How do we continue to build a city that offers opportunity and delight to residents, businesses, and visitors? 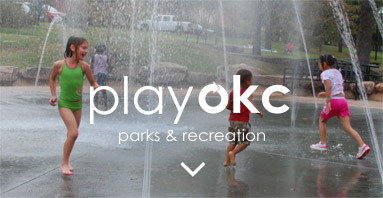 How do we make the world better by making Oklahoma City better? 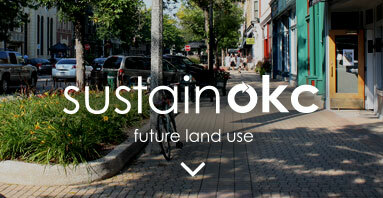 Provide for a broad variety of rural, suburban, and urban living environments. 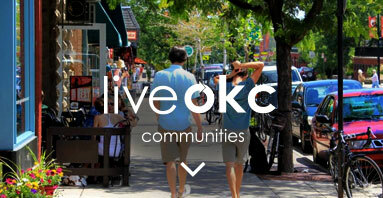 planokc expresses a community vision and identifies strategies to achieve it. This document reflects countless hours of work by thousands of citizens who attended meetings, served on committees, took surveys, presented ideas, and otherwise participated in framing the future of our great city. 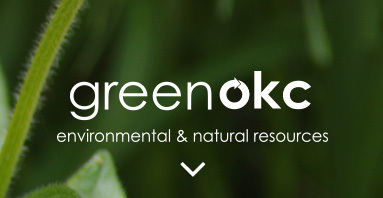 planokc represents the intersection of people, vision, time, and modern planning tools to create a practical guide for a healthy and sustainable city, based on the community spirit that has propelled Oklahoma City forward since its inception. American cities have been planning since the colonies were first established. While most early plans were focused on physical design of city sites, planning evolved to include policy for land use, transportation, infrastructure, housing, economics, and more. Today, comprehensive plans are adapting to address modern issues such as environmental resource management, energy use, and community health and wellness. 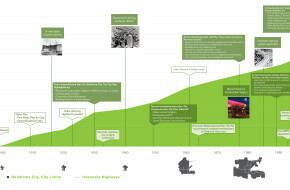 Throughout its history, planning has seen a variety of notable successes. The distinctive look of treasured American cities such as San Francisco, New York City, Washington D.C. and Savannah, can all be traced to early planning. More recently, cities such as San Antonio, Charlotte, and Nashville have been reborn through planning efforts. City-building decisions are the responsibility of the people who live, work, and play in them and cannot be made in a vacuum without risking inefficient, chaotic, and often unpleasant or unhealthy results. Over time fiscal, legislative, and philosophical foundations have evolved to guide city planning efforts. Ensuring good transportation system connectivity. planokc is designed to accommodate a wide variety of development types in the most efficient way possible. 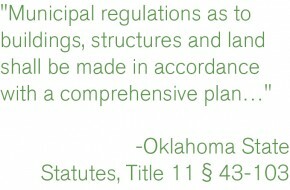 Oklahoma State legislation provides a link between the comprehensive plan and the ability to regulate development in a reasonable, legally defensible way. 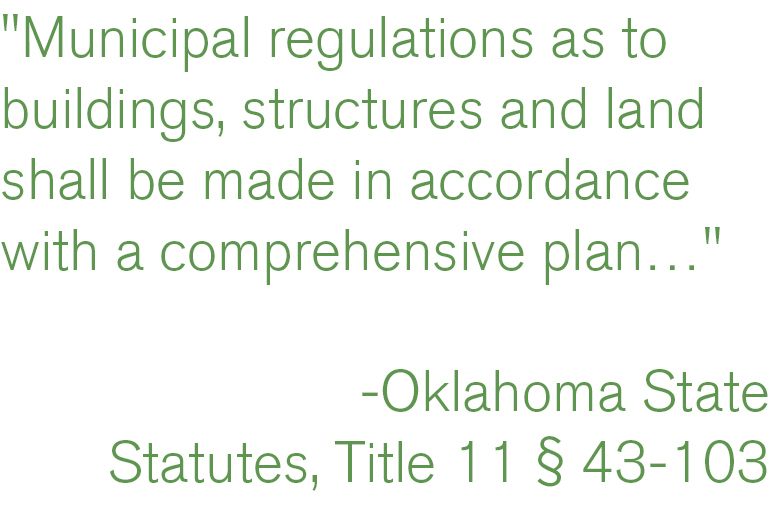 The State planning legislation (Title 11, section 43-102 ff) requires ordinances, regulations, and zoning decisions to be consistent with the comprehensive plan. To provide “reasonable consideration” for the character of a district and its suitability for particular uses, conserving the value of buildings, and encouraging the most appropriate uses of land throughout a municipality. Articulate a vision. A comprehensive plan serves as the road map for the aspirations of the city as a whole. Seek input and direction from residents regarding city actions. Coordinate the thousands of private decisions that affect a community. Businesses and developers work from their individual perspectives, and it is the city’s responsibility to ensure that their actions consider the “big picture” issues, such as connecting streets between different developments or providing space for new parks and public facilities. The plan helps ensure that one person’s decision does not unfairly impact the rest of the community. 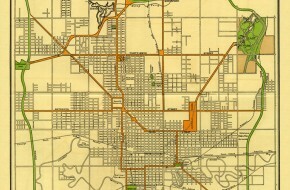 Historically Oklahoma City has prepared land use and transportation plans such as its Plan for an Outer Parkway and a Plan for an Interior System of Parks and Boulevards completed in 1910.